A Little Old Woman really HATES housework. But when fairies arrive to lend a hand she is worse off than ever. Rollicking sweeping, cleaning fun! 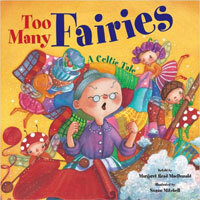 A Scottish folktale illustrated by Scottish artist Susan Mitchell.